Football has becoming more and more popular to kids and even grownups, whether played along the streets or in real football stadium fans cannot the exciting display produced by the sports. Football is a combination of speed, skills and strength and if you notice that your child is showing interest in the game, consider yourself a lucky parent because most kids these days are hooked into gadgets and video games. 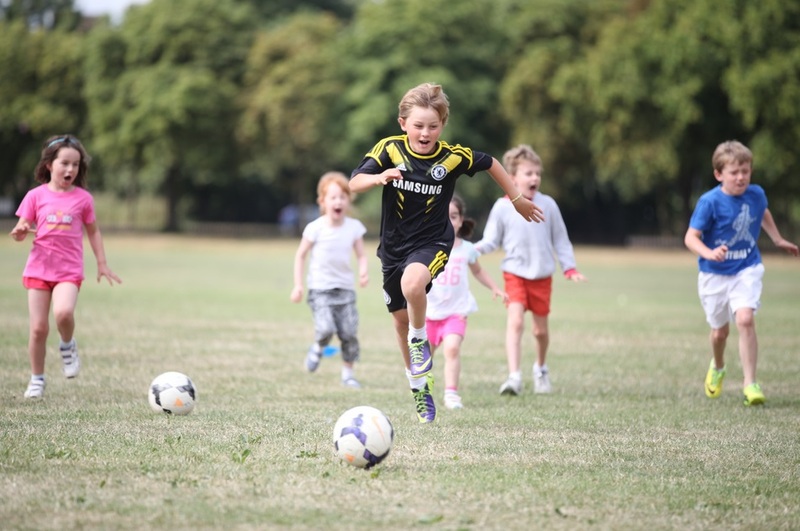 Allow us to tell you the benefits of teaching football to your kids at an early age. Good communication will play an important part in the way a child maintain and develop healthy relationships. Letting them participate in football games will help them improve their communication skills. Football is a good way to keep a close relationship to your kids, if you are successful in making them interested in the game you can also teach them other things that will make the game more interesting for them and making a football banner together. Kids will surely enjoy the art of making colourful banners that will bear their name and their number. In football, when we say courage it means being able to stand up against bullies, trying out for a new team or being able to experiment in unfamiliar player position. A lot of parents don’t realize that courage doesn’t grow like a vacuum it will also show up when difficulties push it to the surface. Courage grows a little stronger each time they face new challenges because it keeps them to push through. By playing football, children will learn how to be part of a team. They will understand the importance of working with a team and they will know that their team need them and vice versa. With that thing in mind, they would know that they have to show up and give their best and that is commitment. Football will teach your kids the importance of not giving up and it will encourage them to see things through. They will learn many life lessons that they will need in their marriage, parenting and their jobs in the future. If you are looking for durable and affordable football banners, you can always get one in Team Sport Banners website where you and your kids can choose from hundreds of designs. If you are the artistic type, you can also create your own banner stand and to make the experience more enjoyable, you can ask your kids to design it and for sure they will forward to that activity. Do not let your kids stay inside the house, let them play outside and introduce them to different outdoor games like football and let them discover the joy of playing it. It will not only help them make friends and become physically healthy, they will also learn several life lessons that will help them in the future.